For twenty-eight years, Charlie has been actively litigating and trying civil personal injury cases in Connecticut. Listed as an AV-rated lawyer by Martindale-Hubbell® (pre-eminent, highest rating available), Charlie has also been selected as a Connecticut Super Lawyer (2010-2014) and a Top 100 Lawyer by the National Trial Lawyers. He was profiled in Top Lawyers: The Secrets to Their Success (Worldwide Publishing, Inc. 2017). Charlie has won jury cases representing both plaintiffs and defendants in Connecticut state and federal courts. In addition to trial work, he has achieved consistently outstanding settlements in personal injury cases. He has a particular interest in complex orthopedic and neurologic injuries, including traumatic brain injuries. Charlie enjoys a reputation as a fair and honorable adversary in all settings, including the courtroom, arbitration hearings, mediation sessions and direct negotiations with opposing counsel and insurance companies. Parties to personal injury litigation and insurance companies routinely hire Charlie to serve as a neutral arbiter and mediator. He has issued rulings in over fifty litigated cases as an arbiter and mediated dozens of cases to resolution. In addition to his statewide trial and ADR practice, Charlie has been active in the legal profession and the Greater New Haven community. 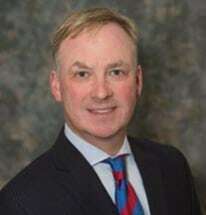 He served as President of the New Haven County Bar Association from 2010-2011, is a James W. Cooper Fellow of the Connecticut Bar Foundation and is a member of the Executive Committee of the Metropolitan Bar Caucus of the American Bar Association (to serve as President 2018-19). He is currently President of the New Haven Country Club. Charlie graduated from Northwestern University in 1986. He graduated from the University of Notre Dame Law School in 1990, having served as the Editor-In-Chief of the Journal of College and University Law. In2018, Charlie attended a Mediation skills training program at Northwestern University.